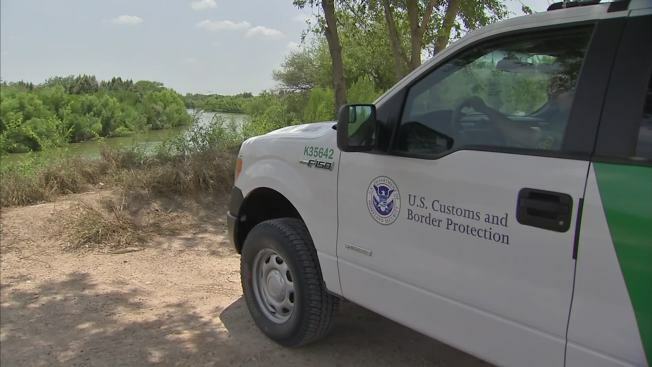 A U.S. Border Patrol agent monitors the border between South Texas and Mexico. A Mexican federal official says the government plans to improve railway surveillance and increase the speed of northbound trains in hopes of deterring Central American migrants from riding on top of freight cars. Federal official Humberto Mayans said Monday that the measures aim to fight human trafficking, strengthen railway security, and protect migrants who historically have jumped on the trains they call "The Beast" to get to the U.S.-Mexico border. Mayans was recently appointed to head the federal government's southern border improvement plans. He said the government plans to invest about $450,000 to improve railway infrastructure so trains can speed up. He didn't explain what the increased surveillance will entail. Migrant rights activists say that in recent weeks federal officials have stopped migrants from getting on the trains.